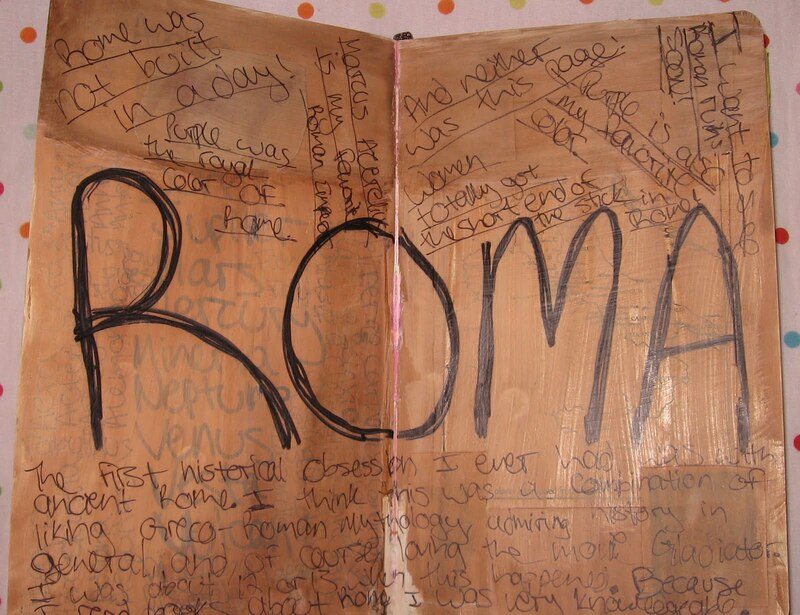 Roma- I made this spread about a month ago. But, a few days ago, I added to it. I used an ultra fine black Sharpie, a fine black Sharpie, pictures and a map from an old book about Rome, gesso, and walnut ink. 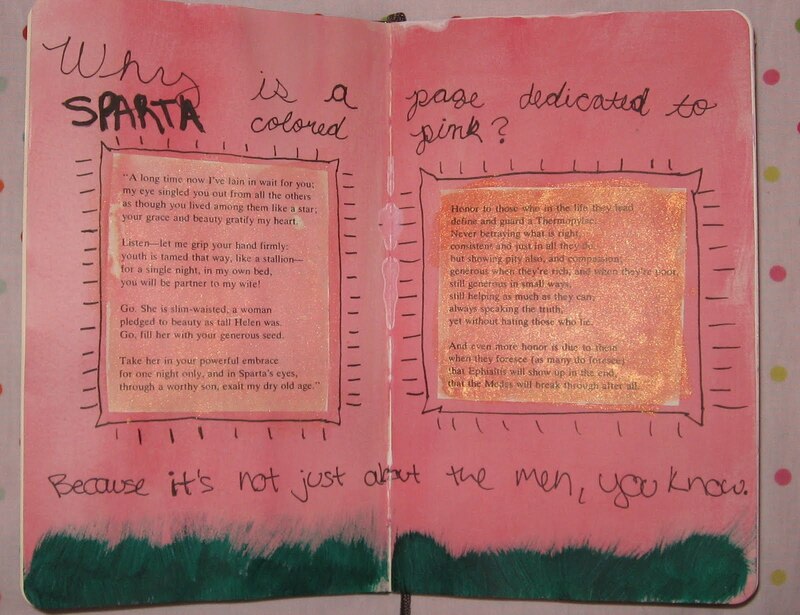 Sparta- I made this spread about a month or two ago. I used watercolors, Twinkling H2Os, a black Sharpie, green acrylic paint, and two poems from a book of modern Greek poetry. 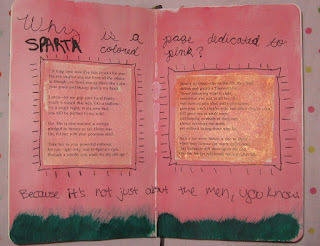 After reading one poem by CP Cavafy (one of my favorite poets ever), I was inspired to art journal about Sparta. Writing in cursive is always a challenge for me, as I usually do not write this way. However, I was happy I chose to use cursive writing for this piece.